Our Customer of the week this week is ABBY! Abby came in to Eye Spy a while back and found a fantastic pair of Anne et Valentin frames in a lovely shade of purple that really set off her blue eyes! But, alas, that frame was lost never to be found. So, with the replacement frame, Abby decided to try something new. Wow, Abby looks great in her new frame! We love this frame on Abby, that’s why she is our Customer of the Week! We are giddy with anticipation for our trunk shows every Saturday in November which will feature all of the new frames from our favorite lines! 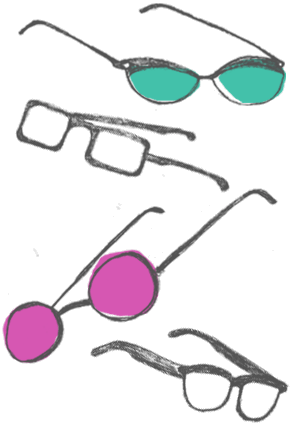 Hundreds of new frames, in every style and color imaginable…we’re getting dizzy just thinking about it! 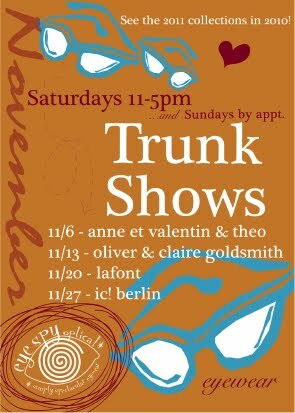 Come in this weekend for the Theo and Anne et Valentin Trunk Show on Saturday, November 6 from 11-5!